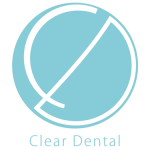 Clear Dental Wentworth Point are approved providers of MySmilePlan! Clear Dental Wentworth Point is dedicated to providing you with complete dental care for a healthy smile. They strive to give you the best service available along with the information needed to make proper decisions about your treatment. Clear Dental Wentworth Point is open 7 days and located an easy walk from all public transport with parking available directly near the centre. They offer emergency appointments if needed as well. Call the practice on (02) 9739 9699 to book!